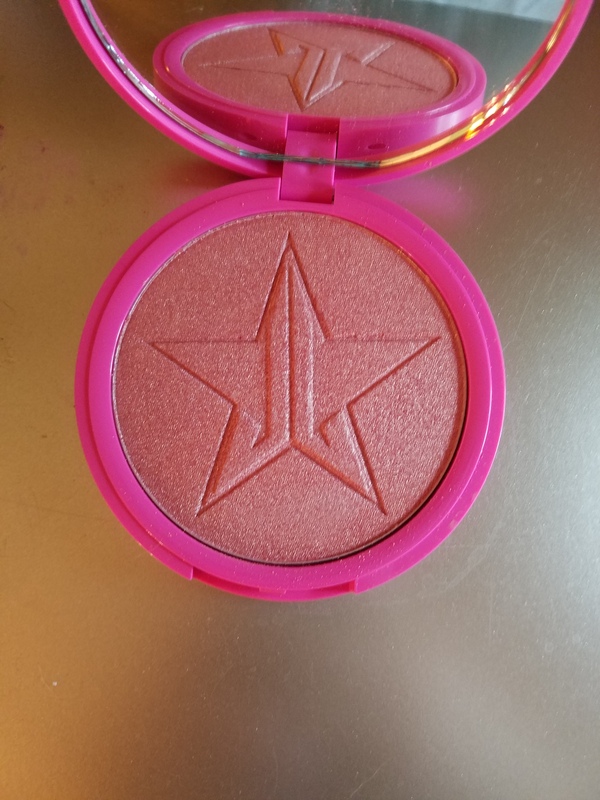 My Latest Makeup Obsession: Jeffree Star Cosmetics! So recently I have been spending practically all of my money on something other than clothes for once. Shocking, I know. As of recently, I have been digging back into my roots of when I used to have fun with makeup…hell when I used to be great at applying makeup. While doing my makeup soul searching I stumbled upon a gift from the Makeup Gods. That gift is none other than Jeffree Star’s Cosmetic line! Can I just tell you all, for starters, that I was obsessed with Jeffree Star in my pre-teens and knew almost all of his songs. Yes, I danced along to Plastic Surgery Slumber Party, dabbled in my hot pink eyeshadows (which are now cool, might I add), and contemplated dying my hair pink. Let’s be real for a second here, pink hair has always been cool especially in the mid 2000’s! Anyways, now it’s 2016 and Jeffree Star is making me fall in love with him all over again! Before I go into all of the reasons as to why his cosmetics are amazing, I would like to tell you all about a story that happened just about two weeks ago. So, Jeffree Star was releasing his Skin Frost line at 10am PST and I was not missing my chance to purchase my Peach Goddess highlighter. Over my dead body, was that happening! Let me just tell you that on that day everything that could go wrong, did go wrong. Let me take you through that day; so it’s 12:30 (my time) and all of a sudden I could not connect to the internet to save my damn soul. When I tell you I restarted my laptop and wifi at least ten times before it actually started working, I literally mean 10 times! It’s now 12:50 and after restarting my laptop so many times, it is now at 5% and it’s about to go to sleep. All I could picture was me at the checkout all happy when suddenly, DEAD! No highlighter for Amanda. Well, I ran like the Flash downstairs to my living room and found my charger. Finally, it’s 12:59…and you know what I realized? I didn’t sign into my account! I got my Peach Goddess highlighter and I am officially glowing from town to town! I feel like I was probably the first order on that website although I know, more than likely, I wasn’t. Now, as far as makeup lines go I love anything cruelty free! That is my M.O.! For example, all of my makeup brushes are cruelty free, just to name a few companies Arbonne, E.L.F and Morphe. So, when I found out that Jeffree’s line was cruelty free, obviously I was already all over it! Another thing I look for is pigmentation. After watching all of Jeffree Star’s Makeup Tutorials where he swatches his makeup on himself and other skin tones on his youtube account (Jeffree Star) he begins to show you how pigmented his products are on everybody! He definitely helps in deciding, okay, what color is truly for me? Next, is variety! 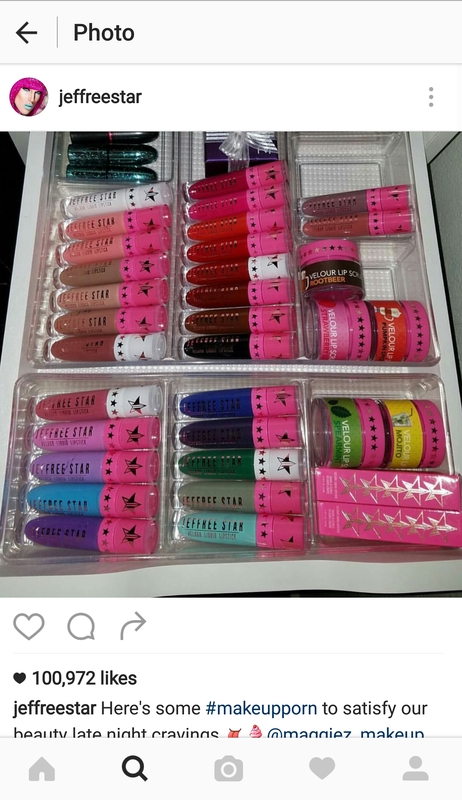 Jeffree Star has such variety in all of his lip colors and eye shadows! Unfortunately, I have to say that I have yet to get my hands on his any of his Velour Liquid Lipsticks, although that will be changing June 8th when he restocks a few of my wish list colors! However, what I have noticed is he really adds that variety that men and women need in a lip color! From his different shades of nudes, pinks, reds, blues, purples, and hell down to straight black! His liquid lipsticks are something that I am dying to get my hands on! In addition to everything thing else that is listed here, I love how much product you actually get when you purchase from him! You truly get your bang for your buck! When I tell you that number one, you do not need to use a lot of his product to really see it, I mean it! Number two, I’m sure his products (if used sparingly) could last you close to a year! Finally, I can definitely say that he has taught me how to properly prepare my lips! I am able to do that with his Velour Lip Scrub. 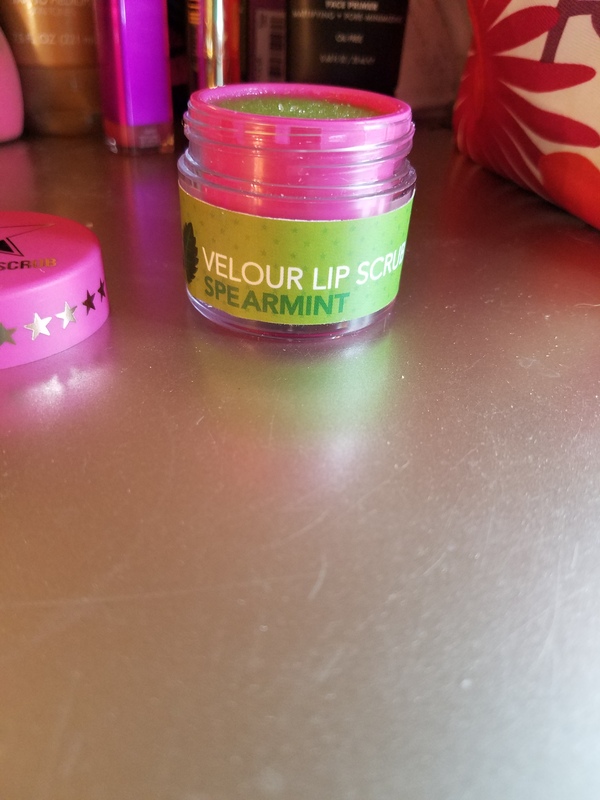 Personally, I have spearmint because I figured, ‘hey, I don’t really know his products and when other companies say something will taste like strawberries it usually tastes like crap.’ Can I just say that I was pleasantly surprised? His spearmint was exactly spearmint to a T! I can’t wait to purchase his Mojito flavor. 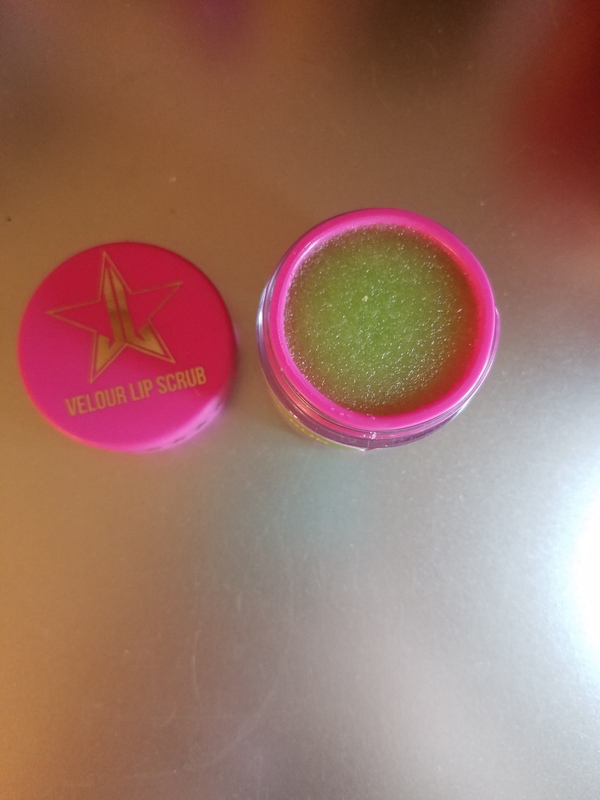 So ends my ode to Jeffree Star’s Cosmetic line! I cannot wait to get my hands on all of his products! They are definitely worth the buy! 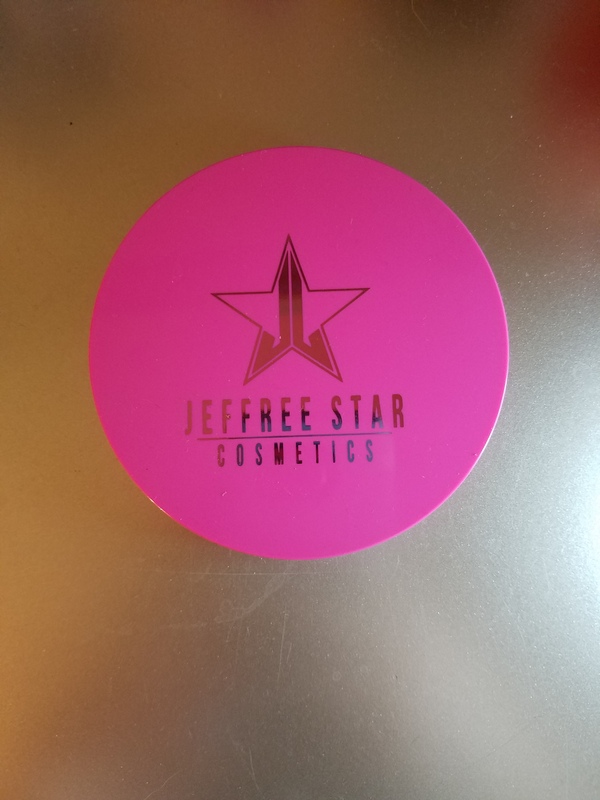 Have you purchased Jeffree Star’s Cosmetics yet? Are you waiting for his products to restock like I am? Leave your comments below and please answer the poll below as well! Next Amanda’s Make-Up Review: Face/Contour Necessities!